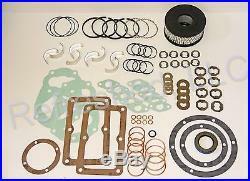 DEVILBISS / DEVAIR MODEL 432 OK432 TUNE UP REBUILD KIT AIR COMPRESSOR PARTS. DEVILBISS / DEVAIR TUNE UP/REBUILD KIT For Model 432 Please note, picture might show a generic Devilbiss / Devair tune-up kit. 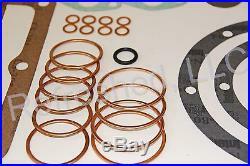 To simply ordering parts for a single machine repair, TUK's have been assembled to include gasket kit, piston ring kit, intake filter element, insert bearings, oil seal valve disc and springs to recondition one compressor. 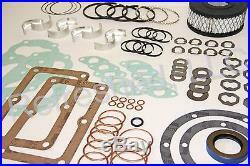 We can get you overhaul kits, replacement valves, rods, bearings, filters & other components for many other models & manufacturers. This disclamer is subject to change at any time withiut notice. Fitment issue: We do not make the products, installation instructions are not included in most cases. Please consult mechanics if you net experienced enough with installation of products. We sell DIY (Do It Yourself) items. We take no responsibility in teaching you how to install them. 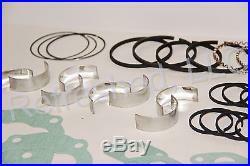 All products we sell are aftermarket replacement items unless otherwise stated. OEM names, part numbers, pictures are used for convenience and as reference only. We are not liable for any damage or personal injuries caused by installation of aftermarket products. Please let us know if you have a personal preference though I may have to chose a specific carrier for other reasons. We are here to resolve any issue you have. 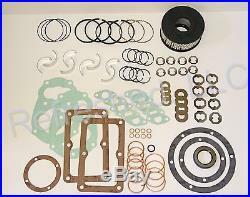 The item "DEVILBISS / DEVAIR MODEL 432 OK432 TUNE UP REBUILD KIT AIR COMPRESSOR PARTS" is in sale since Tuesday, December 24, 2013. This item is in the category "Business & Industrial\Light Equipment & Tools\Air Compressor Parts & Accs\Other Air Compressor Parts". The seller is "tornadosky" and is located in Pittsburgh, Pennsylvania. This item can be shipped to United States, Canada.